Frank Zappa’s 1979 double album, Sheik Yerbouti, is newly remastered from the original analog masters for worldwide vinyl reissue on December 11 by Zappa Records/UMe. The 2-LP, 180-gram vinyl is presented with replicated original artwork. Frank Zappa’s first release on his own Zappa Records, Sheik Yerbouti‘s 18 tracks include the European smash hit “Bobby Brown,” the disco-inspired (and GRAMMY®-nominated) “Dancin’ Fool,” and the Peter Frampton-inspired “I Have Been In You.” Zappa produced the album from several 1977 and 1978 concerts recorded in the U.S., U.K., Germany, and Sweden with some studio elements. 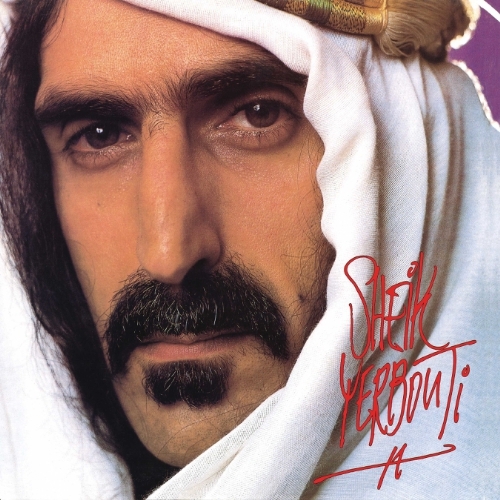 With more than two million copies sold worldwide, Sheik Yerbouti continues to be one of the most popular albums of Frank Zappa’svast recorded catalog.